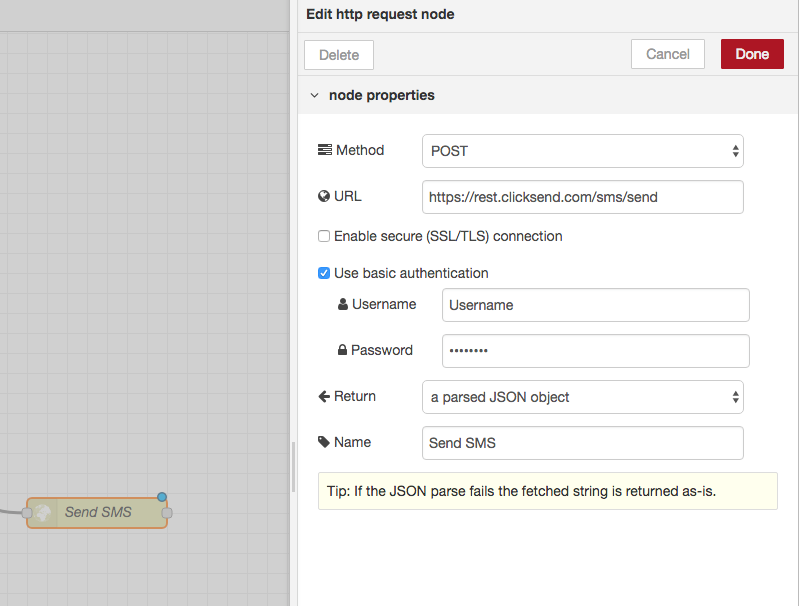 Node-RED can easily integrate with most of ClickSend's API endpoints. This means you can trigger multiple actions by creating a Node-Red flow. 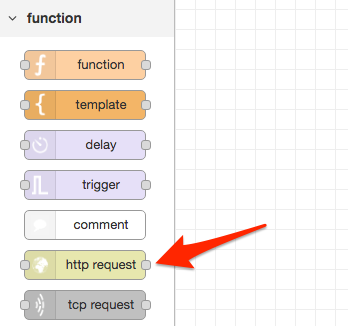 All you have to do is create a logical flow of information all leading to a http request node shown below which calls the API endpoint you desire. Password: your ClickSend API Key which can be found here. Make sure you send the body of the request in JSON format. You can add more parameters as shown in our API docs. Put a debug node at the end so you can check the response from the API and turn it on by pressing the square on the right. Make sure you deploy your flow and then press the square on the left to send the payload.